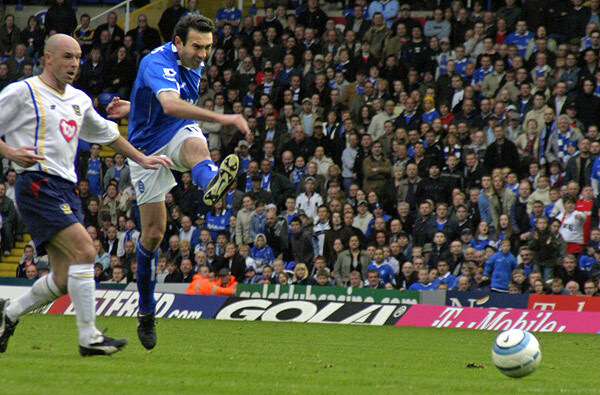 Should be 3 points home against Portsmouth, right? . . .
Pandiani comes out with a mascot, followed by Jamie Clapham. A classy, cultured left back in my opinion. That's Clapham, not the mascot. "Birmingham, meet Pompey. 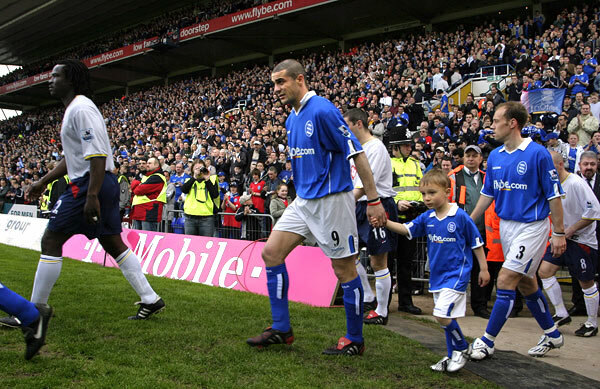 Pompey meet Birmingham. These pre-match meetings are now a Premiership tradition. 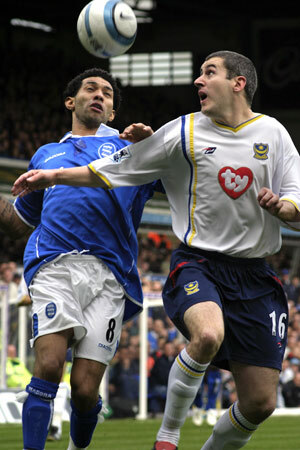 Pennant tussles with a Pompey defender. Pandiani does his best to get on the end of a hoof-ball. I'm sure he wanted to be back in Uruguay at times like this. Pennant turns a full-back inside out, while our forwards in the box drink lattes and eat biscotti. On the stroke of half-time 'Skippy' Lazaridis gets in the only real shot of the game. Consequently another photographer nearby spent the rest of the day wiping Vegemite off his lens. 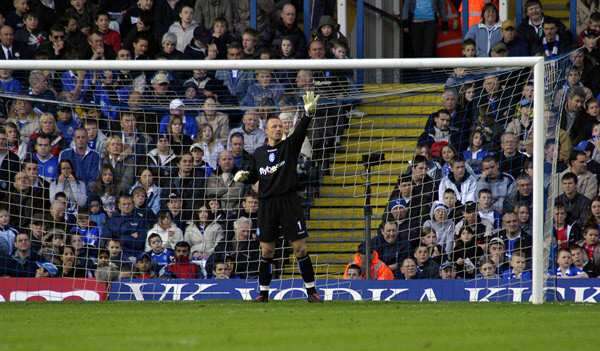 Using the gloves he borrowed from Mickey Mouse, Maik Taylor signals to the bench that he'd like four sugars in his tea. 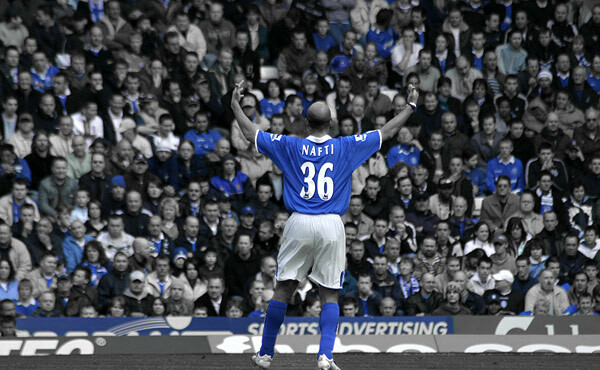 It's a Blue World as Nafti leads the fans in a rousing rendition of Mr. Blue Sky. 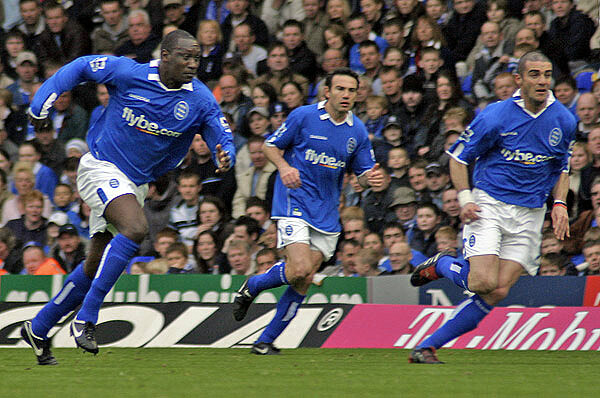 The ball gets hoofed over everyone's heads, then our blue boys get on the chase. 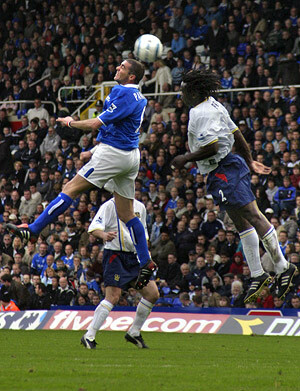 Ahhh, the Steve Bruce days. 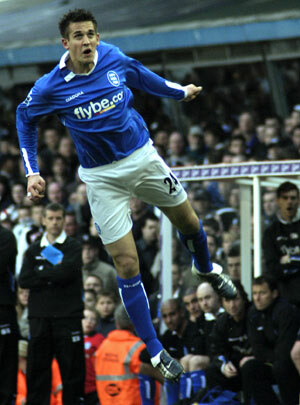 Darren Carter rises to keep Pompey under pressure. 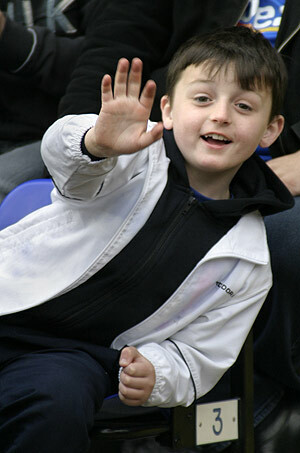 A young Blues fan from Chelmsley Wood, or maybe Bosnia, gives me a wave. 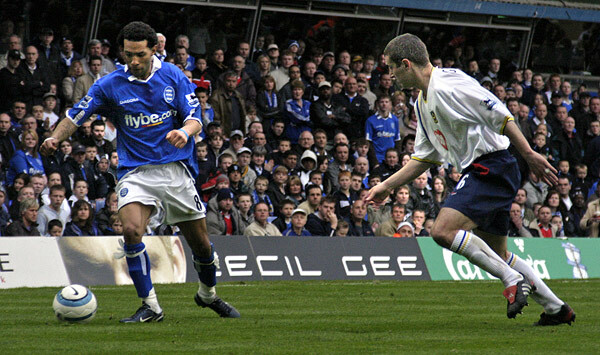 and another memorable 0-0 draw goes down in Blues' history.